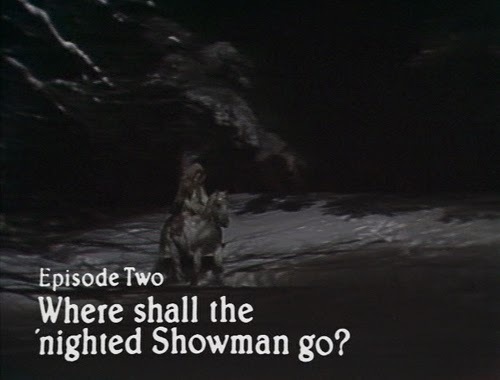 2: Where shall the ‘nighted Showman go? The scenes within King Arthur’s Camp were filmed during June, five months apart from the snowbound Aberdeen locations that give the series such a traditional Christmassy vibe. 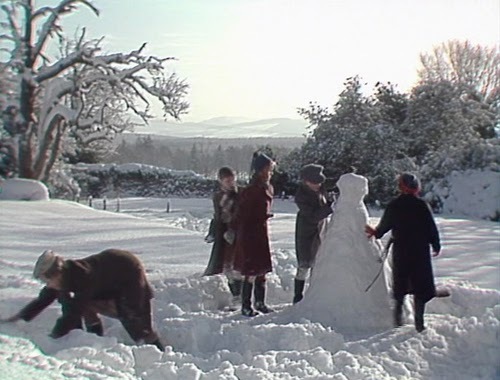 Snow so deep the crew had to film in and around the grounds of the hotel where they were staying is supplanted by foam at Reading Castle. The sequence is most notable for the hack’n’slash enthusiasm with which Kay takes care of some wolves (Herne, now adorned in Knight’s garb, has no compunction with handing him a sword and instructing him get on with it). He’s a little too cheerful as he skewers one (off screen, of course). And what’s with the poor wolf/dog stand-in being unceremoniously lobbed into shot? Fortunately this kids-with-swords business is curtailed by the arrival of Cole Hawlings. 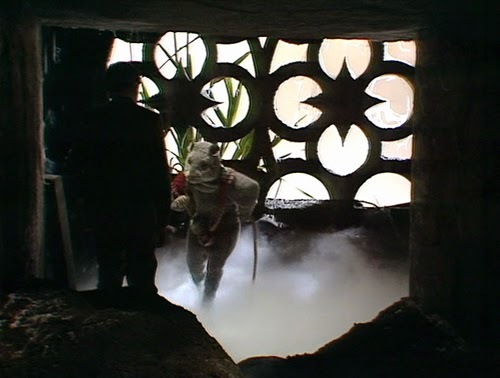 Just prior to his intervention, there is a suitably spooky reminders of the dark magic at work, as Kay sees a flash of wolf’s head. 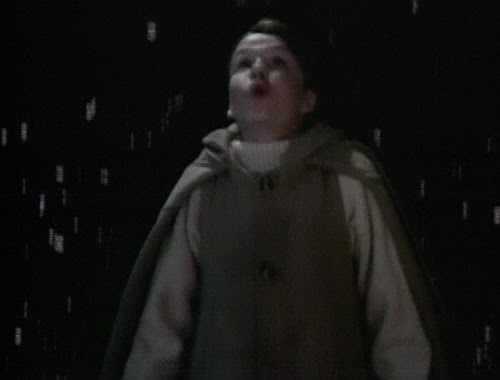 Cole looks as if he’s been summoned to join the angelic host, sashaying about in white robes, while his powers over time and space suggest Rye may have been guilty of typecasting. Really, though, Troughton couldn’t be more different from Doctor Number Two. The time warp effects; well, they do the job and that’s what counts. 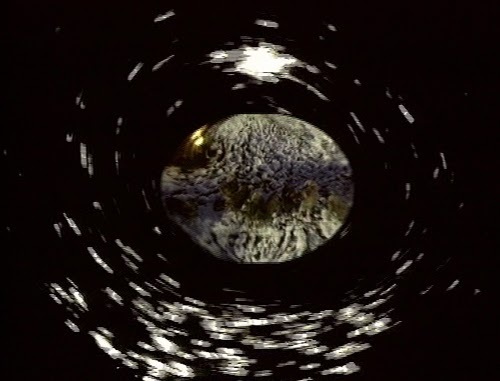 Visually, they suggest the idea of a snow globe; the outside world is caught in a bubble. And where is this place that Kay and Cole meet? Somewhere outside of time and space, it seems. As noted of the first episode, one of the pleasures of the story is its reliance on murky history. Cole offers mere suggestions of his background. We hear the name of Master Arnold (“Gone a long way back, has Master Arnold”), but despite Kay’s further questioning we won’t really get a handle on him until the fourth installment. Hawlings tells Kay of the box, “I’ve not had it long” and it’s curious that, even with the aid of an object Abner believes holds leverage, Cole believes he is unable to guard himself against the new magic because he’s “old now”. It seems that, even with immortality on one’s side, one will wear out in some shape or form. Cole continues to deliver his lines in a form of attractively tilted poetry (“Ah, the police don’t heed… the kind of wolf that’s after me”; more than the proved the case with the subsequent encounters with the oblivious “bloodhound of the law”). Most significantly, Kay is shown how to work the box (right for small, left to go swift) and asked to keep it from others and safe until Cole can claim it. He is promised that, if he returns at dawn, he may see what’s come of the Punch and Judy Man. There’s a sense in Cole’s manner that all this is foreseen in some way; he is surely aware of the danger that awaits, but does not avoid it. 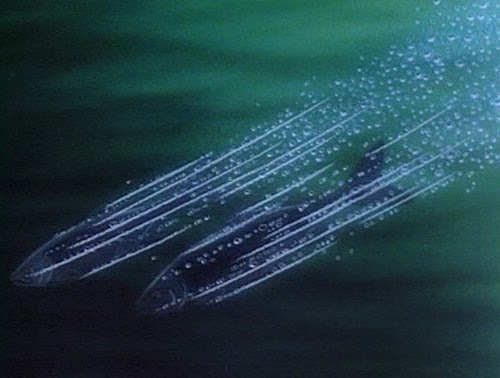 The Kay flying effects are expectedly poxy, but then they were at the time; it’s another example of making allowances because the atmosphere wins out. It’s worth mentioning the dream/transportation effect used at points during the serial, as it will recur several times before preceding the “It was all a dream!” reveal in the final episode; it represents fodder for those arguing that it all wasn’t a dream at all. 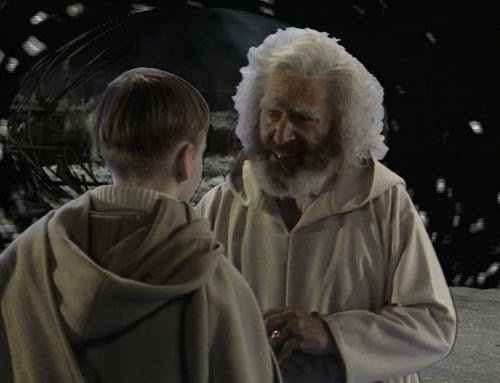 Peter: Well, they scrobbled the old man! The first case of scrobbling, a great term, occurs at dawn as Kay, with Peter, return to Bottler’s Down to see Cole abducted and fetched off in a car/plane (caroplane). 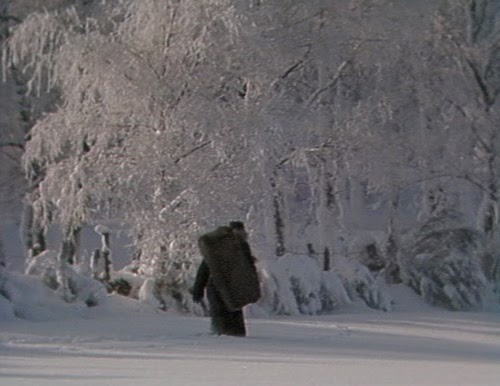 The most arresting aspect of this is the snowy vista; you can quite see why it was only possible to shoot in the hotel grounds, as the snow renders the actors near-immobile. 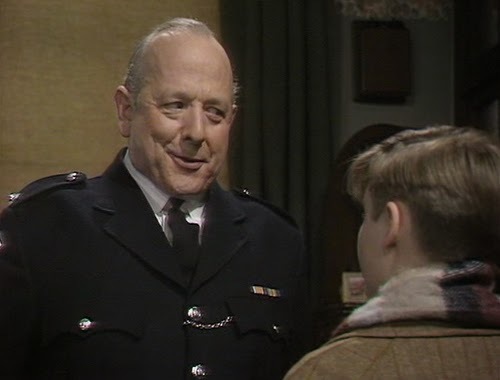 James Grout, best known for his role as Chief Superintendent Strange in Inspector Morse, plays the Inspector at Tatchester Police Station. He’s a well-meaning irritant, and following the Bishop represents the second incompetent authority figure picked out by Masefield. He dismisses the concerns of Kay and Peter, suggesting it was all just a frolic by officers at the aerodrome, a “Christmas ragging”. 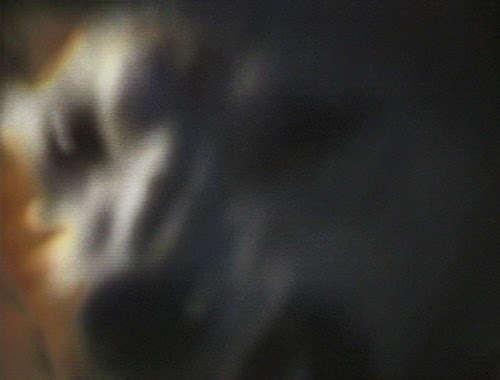 When Cole’s captors call out of the blue (either a result of Abner’s Rat keeping tabs, or less corporeal measures), the Inspector announces it as a “co-insidence” and amusingly keeps asking one last question before failing to hand Kay the receiver. There is some back-and-forth from here, as Kay and Peter briefly return home to help build a snowman (the kind of indulgence that would be left on the cutting room floor if this was made today; there’s even more of that kind of thing the following week) before heading off back to the Down (“Too much discipline here all together!”) when Ellen starts getting bossy. The return is necessary, however, as we need to be aware that Abner is onto Cole not having the box; Charles and Joe are hunting for it. 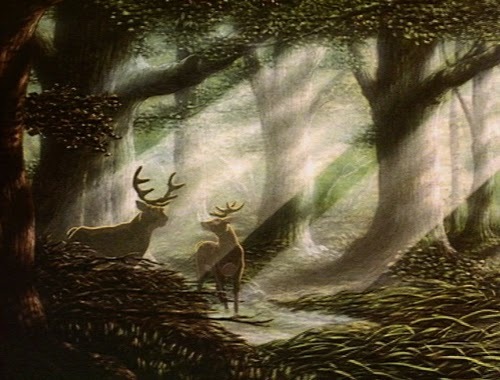 Herne: Are you coming into my wild wood? The highlight of the episode is Kay’s entrance into the world of the box, an animated tour de force that hasn’t aged at all. It’s curious that there appears to be no clear method for entering the box-scape, unlike the specific actions to shrink or fly. 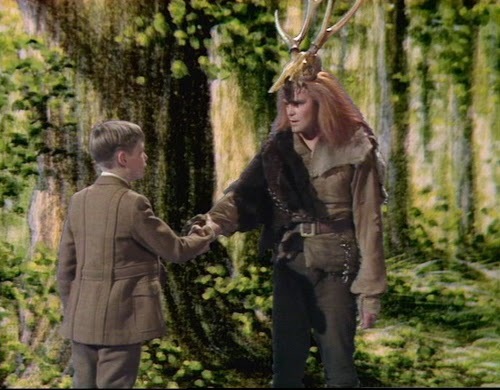 Kay receives an initiation of sorts from Herne, first transforming into a stag, and one wonders if Masefield was drawing on some law or doctrine to which he himself may have been privy (and from there revealed yet shrouded in the pages of a children’s novel). Kay’s induction into the magical truths of the natural world takes in specifically the land, air and sea. At each stage a predator pursues them, and at each stage they must transform (a principle of alchemy) in order to elude their pursuer. Herne: Did you see the wolves in the wood? Herne: That is why we became wild ducks. 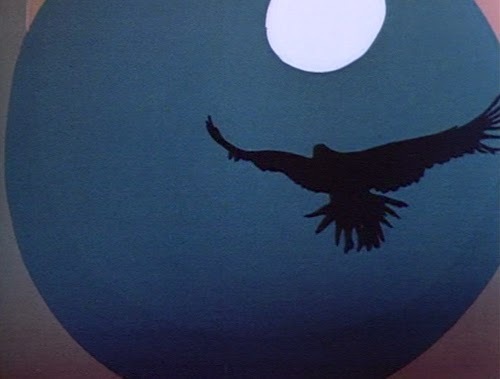 Did you see the hawks in the air? Herne: That is why we became fish in the river. Now, do you see the pike in the reeds? 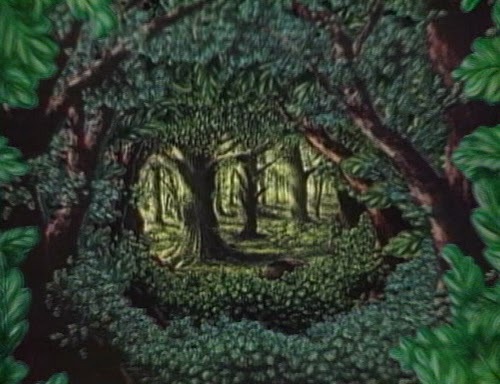 Finally, they become deer again, before Herne transforms into a tree; Kay’s first “trip” is over. The trials of nature as presented by Herne might appear elusive in meaning, except that Kay’s very next encounter is with his own natural predator; Abner Brown. It’s during this sequence that we witness the skewed perspectives allowed by Rye. 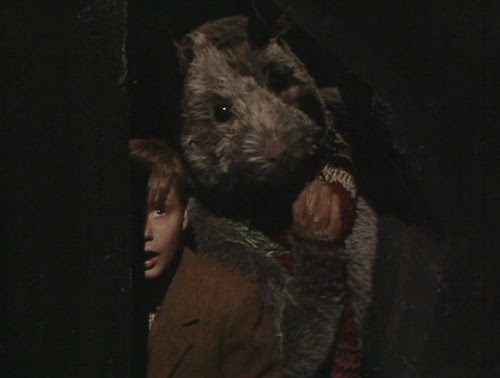 The mouse (Simon Barry) that helps Kay find Abner’s meeting place is the size of young Master Harker when he goes small. The pirate rats they elude (who include one Nick Berry among their ranks) appear significantly larger (hard to be sure as we mostly see the size difference in flying sequences) and Rat himself is larger still, human sized. And further afield again, there’s no suggestion that Barney dog has the ability to converse (but this kind of selective anthropomorphism isn’t that uncommon in the cartoon world). 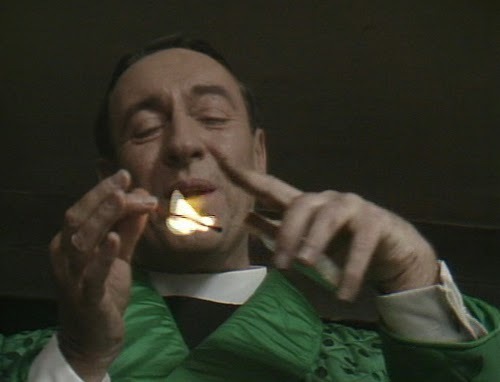 Abner, playing with matches, is wonderfully splenetic. 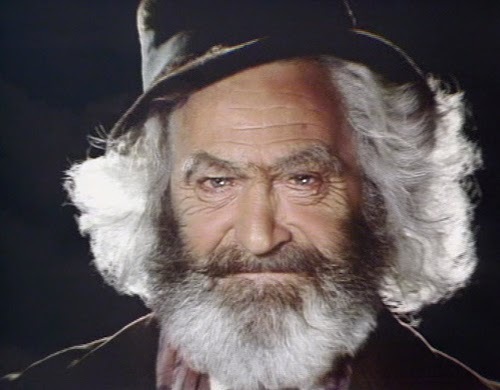 Stephens was once a next-big-thing, even occasionally cast in leading man film roles (most notably Billy Wilder’s The Private Life of Sherlock Holmes), but his love affair with the evil liquor ensured his career was never as bright as it could have been. 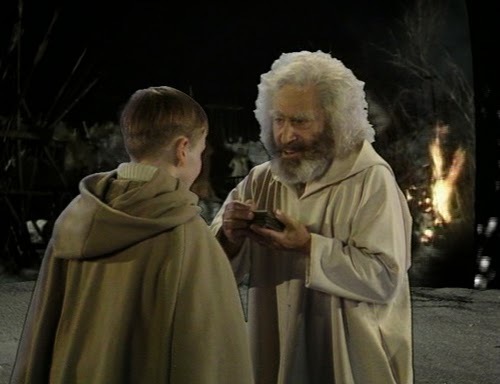 He gives it his all in Box, however; there’s absolutely no suggestion he sees this as just a kids’ programme (and the spirits may actually have benefited him on occasion; we see him plunge into icy waters in both the fourth and final episodes).